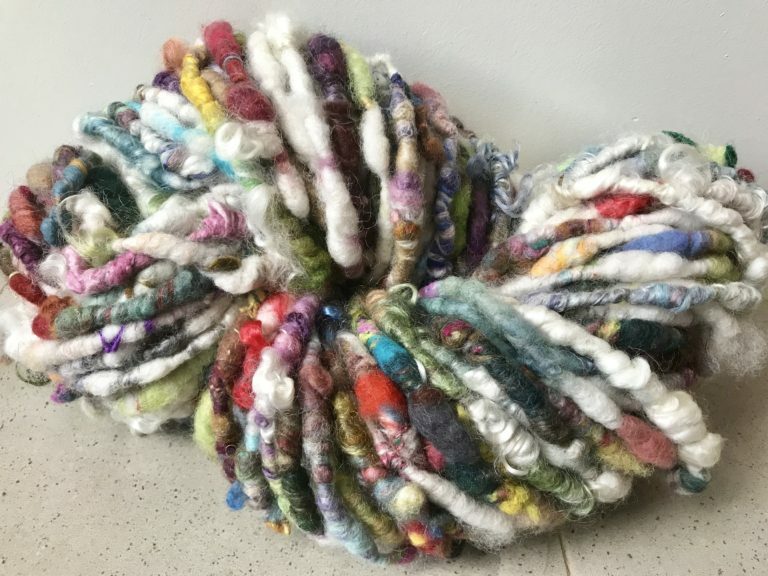 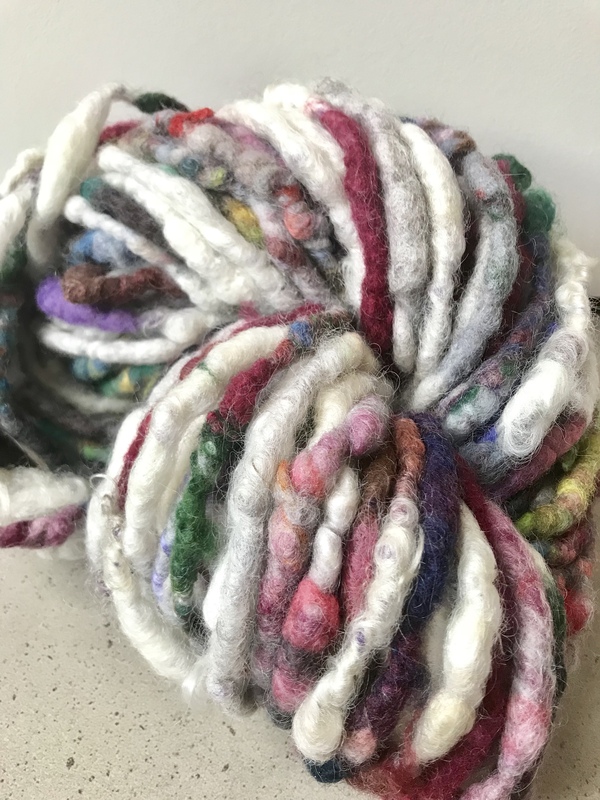 A beautiful skein of hand spun Hotch Potch style yarn in bright and subtle hand dyed colours as well as natural fibre. 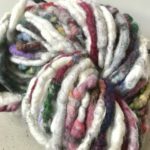 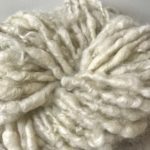 Fibres consist of various types of wool fleece, silks and mohair mostly hand dyed. 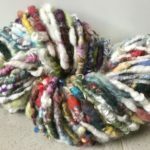 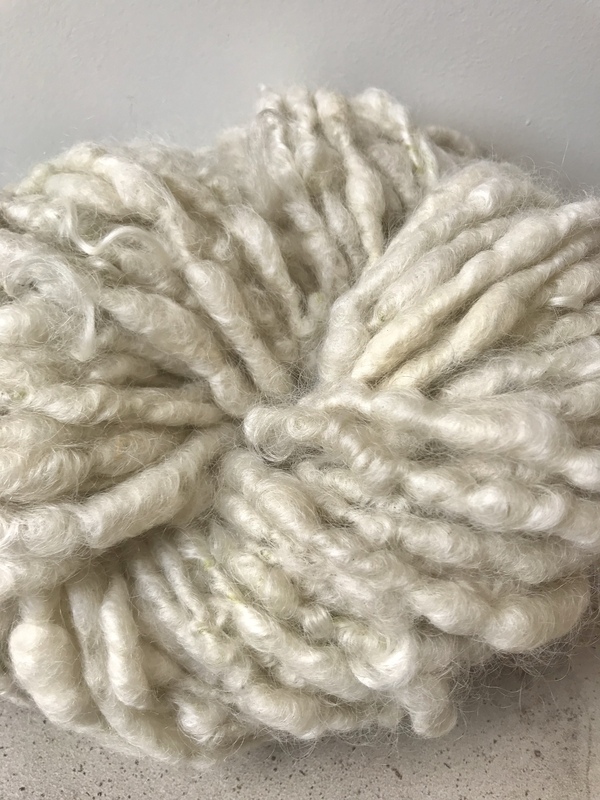 This skein weighs 385 grams and has a slight fulled appearance but with interesting texture. 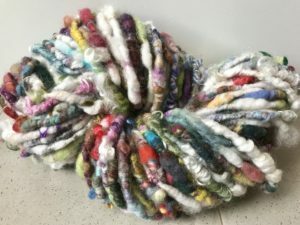 This gives it the perfect surface for high wearing items whilst creating a textural surface.